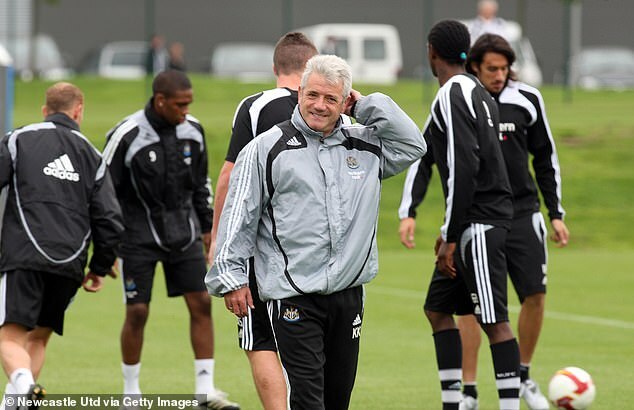 Kevin Keegan has revealed the baffling circumstances that surrounded Newcastle signing flop Ignacio Gonzalez on loan. 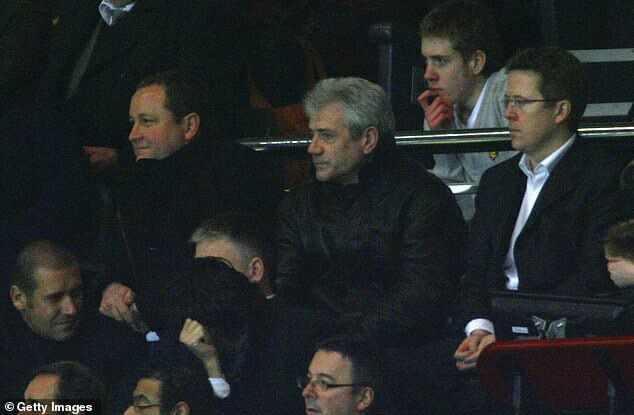 The former Newcastle manager eventually exited the club after a second stint in charge in 2008, with issues with owner Mike Ashley and director of football Dennis Wise causing him to cut short his reign. The additions of Xisco and Gonzalez — who earned £26,000-a-week — have often been credited with his departure, and Keegan has now explained how the signings were presented to him. Writing in his new autobiography, which has been serialised in The Times, Keegan spoke about his final game, in which Ashley was filmed downing a pint in the away end. But he admitted: ‘It wasn’t Mike’s beer-guzzling that upset me that day. It was the fact that Tony Jimenez, the executive who had been put in charge of Newcastle’s transfer business, had informed me we were spending £5.7million on a Spanish player called Xisco whom nobody from the club had ever seen play. And Keegan revealed he was encouraged to let Gonzalez join despite no one at the club having seen him play. ‘It was on the morning of the game that Dennis Wise rang to ask me to go online and check out Gonzalez,’ Keegan continued. ‘Dennis said he had heard great things but admitted he had never actually seen him play. Further enquiries revealed that nobody, in fact, from Newcastle had ever seen this guy kick a ball. ‘When I spoke to Wise on the telephone that day, it was the first time he explained the real reasons why the Gonzalez loan was being done. 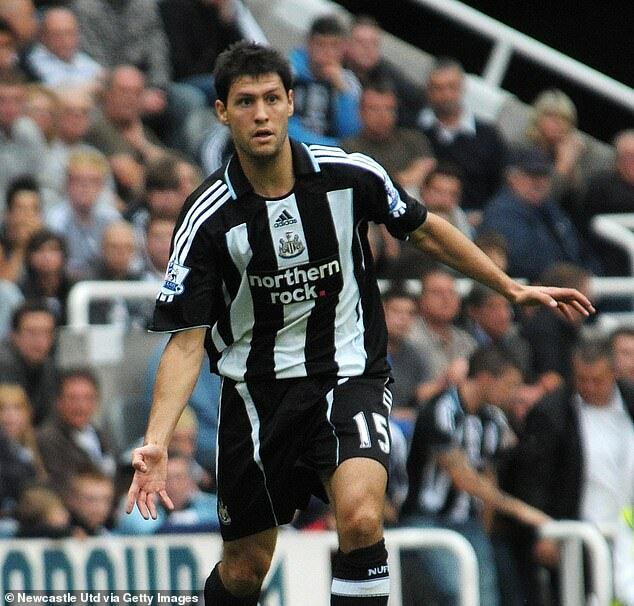 Dennis explained it was a favour for two agents — Paco Casal, a Uruguayan, and Marcelo Lombilla, an Argentinian — who had helped us get [Fabricio] Coloccini and [Jonas] Gutierrez, and that if we took the hit on this one occasion and agreed to “park” Gonzalez, they would look upon us favourably in the future. Ignacio Gonzalez played for the likes of Danubio, Monaco and Levante during the peak years of his playing career. He also spent time at Valencia, failing to make a single appearance. Gonzalez is still playing today at 36 for Montevideo Wanderers. He also earned 18 caps for Uruguay between 2006 and 2010, scoring a single goal. Not only was Keegan taken aback by the request, he also could not believe the financial realities of the deal. He added: ‘Dennis called it a “favour”. A favour? As favours go, it was going to cost Newcastle a fortune. Both players were going to earn seven-figure salaries, and in Xisco’s case it was upwards of £3m a year. Gonzalez would go on to make two substitute appearances, scoring no goals, while Xisco, earning £60,000-a-week, scored once in nine appearances.